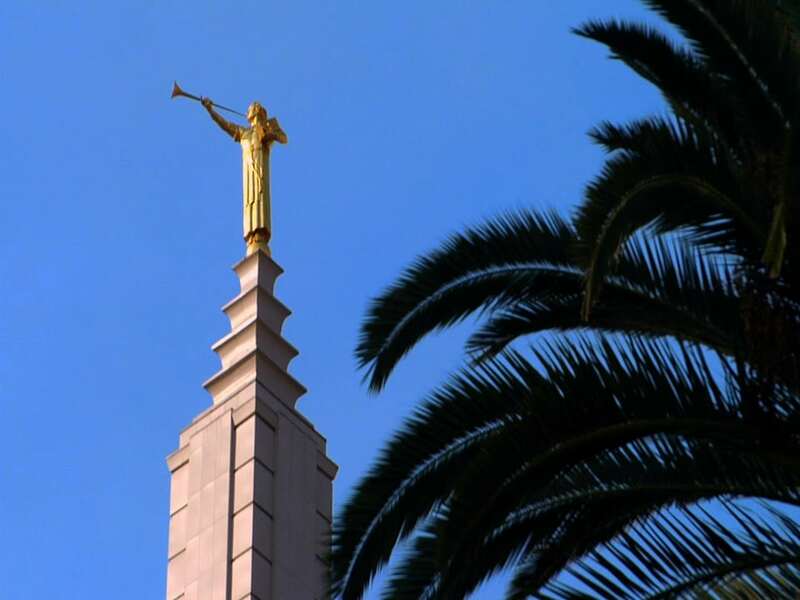 Finding God in The City of Angels – Award winning filmmakers Jennifer Jessum and Simon J. Joseph, Ph.D., take an in-depth look at the many faces of faith in Los Angeles, one of the most religiously diverse cities in the world. 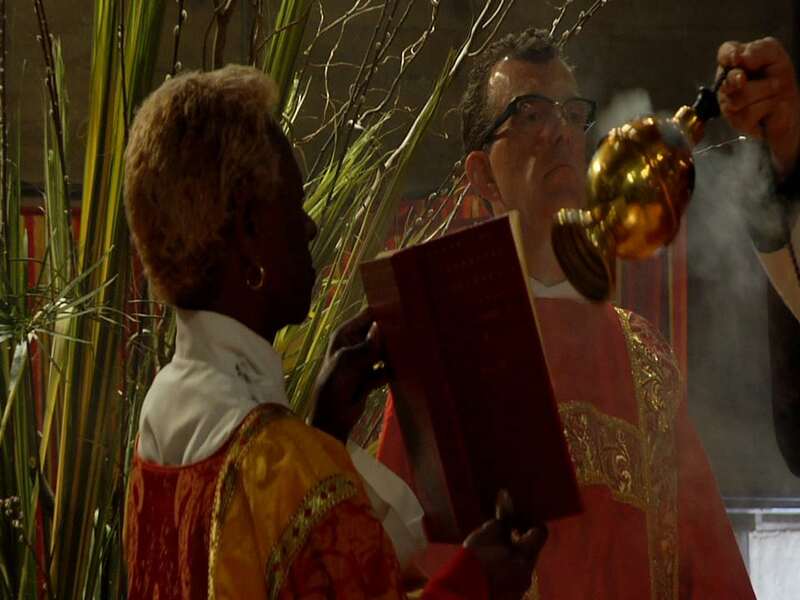 These images from the film give a glimpse into the abundant richness of religious and spiritual practices taking place in Los Angeles every day. It is in the midst of this environment that The Guibord Center is creating an exciting, open and inviting sacred space for all to get to truly know one another and build friendships and cooperation free from intolerance and discrimination. Many of the locations and/or faiths seen here are partners in our efforts to create a dynamic new dimension of cooperation and respect that strengthens and serves everyone in the City of Los Angeles and far beyond. 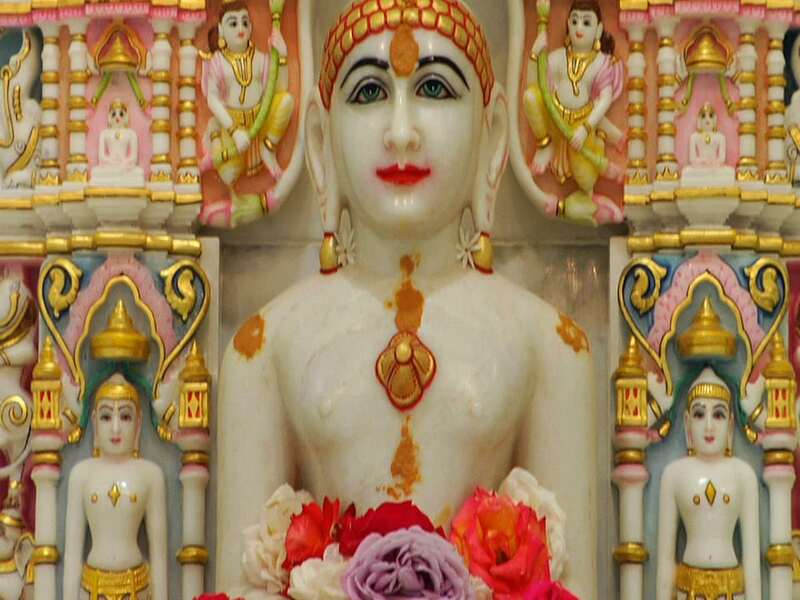 Jainism is one of the world’s oldest religions, rooted in respect for the sanctity and dignity of all living beings and commitment to a life of non-violence. It emphasizes the need for the individual to move the soul forward towards liberation from suffering and the cycle of rebirth. Jains are a powerful religious minority in India today, valuing higher learning and influencing political, cultural and ethical spheres. 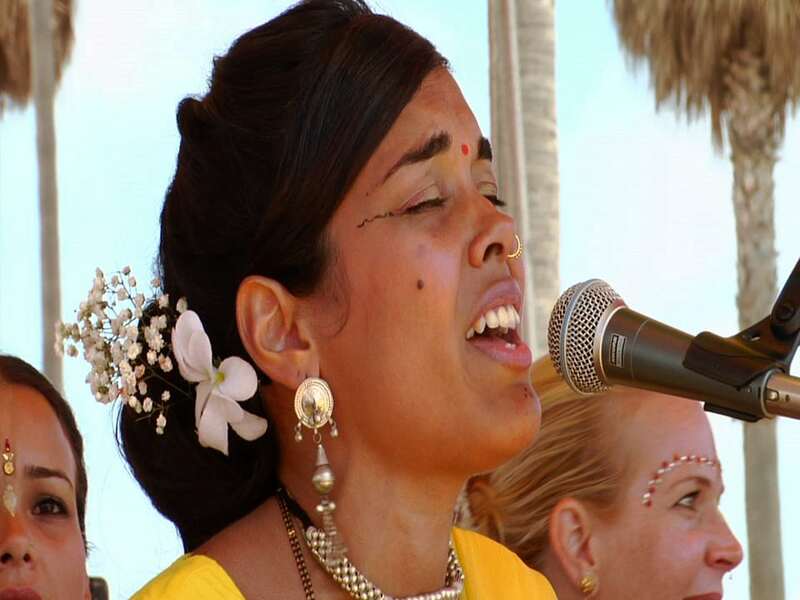 The Jain community in Los Angeles reflects those values. 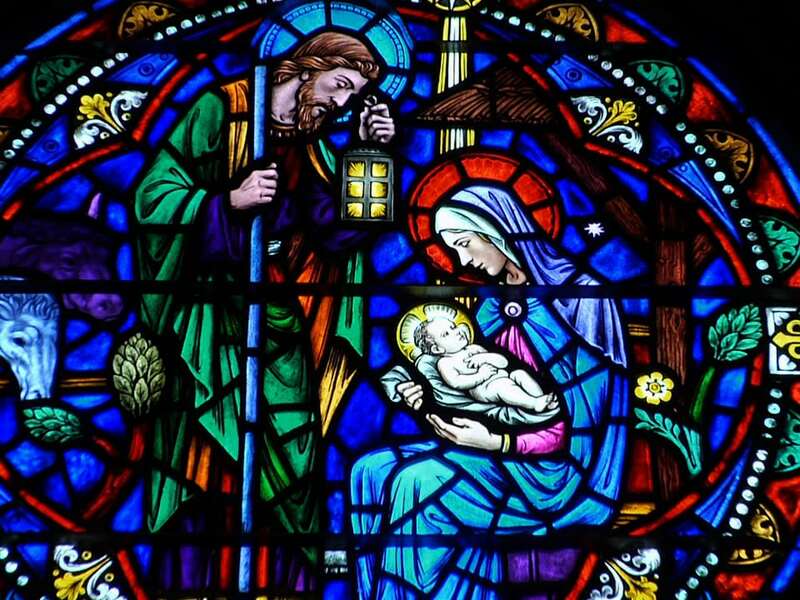 Stained glass windows have been used in Christian churches and monasteries since the 7th century. They were used to illustrate the stories of The Bible to a predominantly illiterate following. Stained glass was also used by Islamic builders in Southwest Asia by the 8th century. 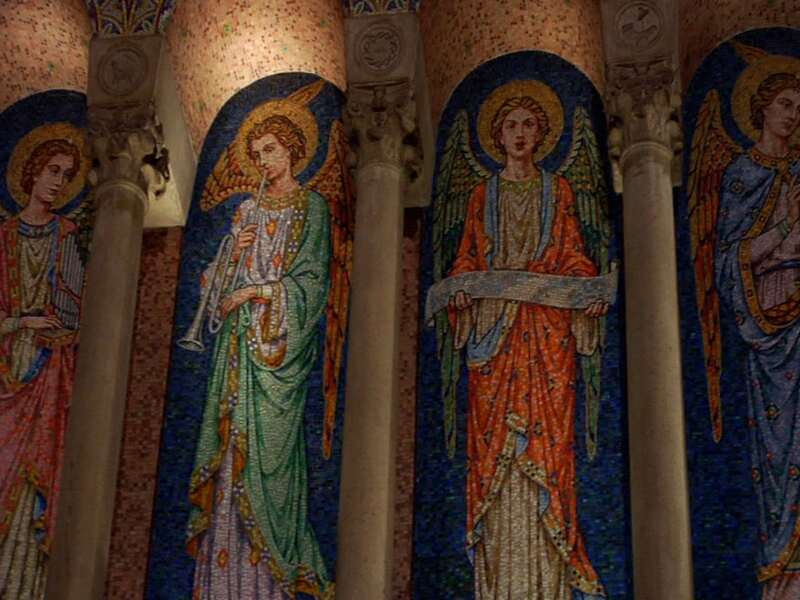 Their stained glass windows and panels were of beautiful repeating geometric patterns that reflected the orderliness and wondrous beauty of God. Stained glass windows at St. John’s Episcopal Cathedral, Los Angeles. 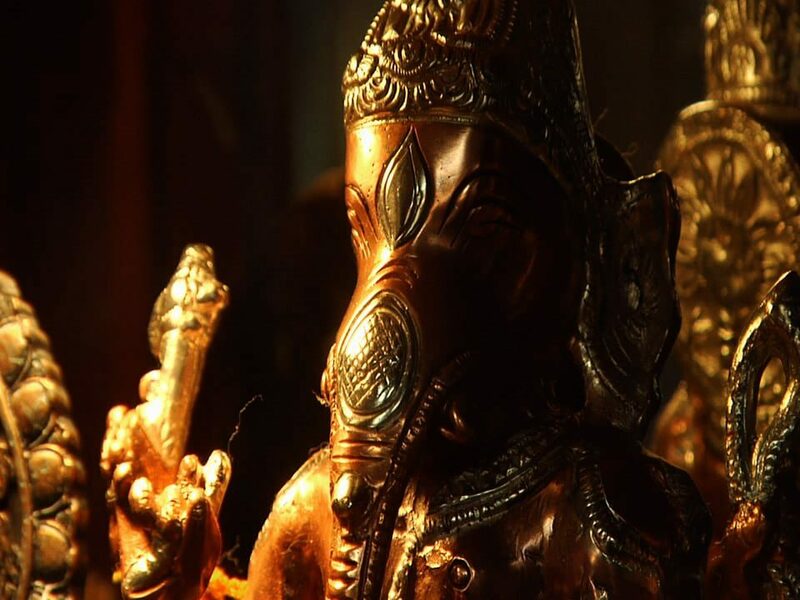 Lord Ganesh, the elephant-headed deity riding a mouse, is one of the most popular of the Hindu deities. He is worshiped before any undertaking to remove obstacles and attain success. He is the son of the Divine Mother, Parvati, and Lord Shiva. While Hinduism is said to represent the third largest religion in the world today, the word “Hindu” derives from the word “India” and refers not to a unified system of belief but rather to a large, diverse variety of religious traditions and philosophies that have developed in India over thousands of years. Angels are super natural beings common to many faith traditions including Christianity, Judaism and Islam. They are God’s messengers and also guard and protect human beings on God’s behalf. 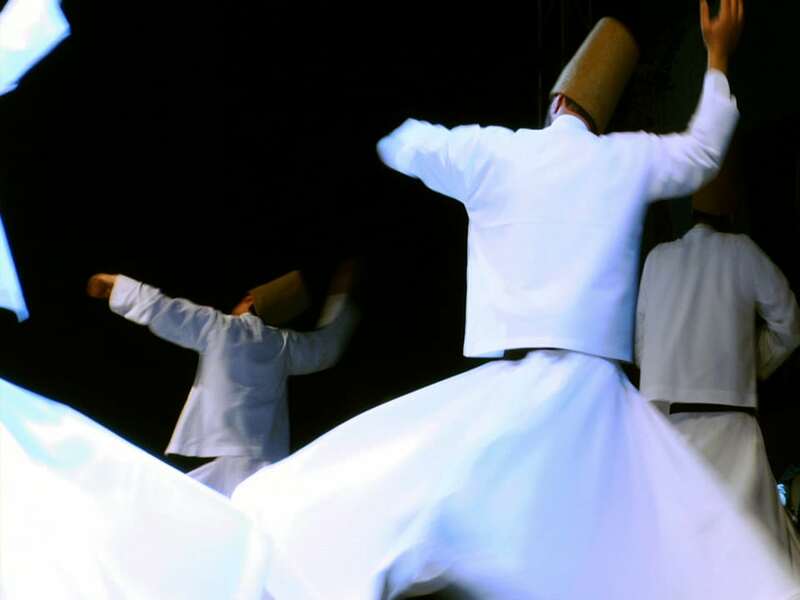 The Dervishes are Sufi Muslims from Turkey who are followers of the Persian mystic and poet, Rumi. They whirl as part of a formal ceremony called the Sema where they symbolically turn toward Truth and lovingly seek to reach God and then carry God’s Love into their own lives and out into the world. 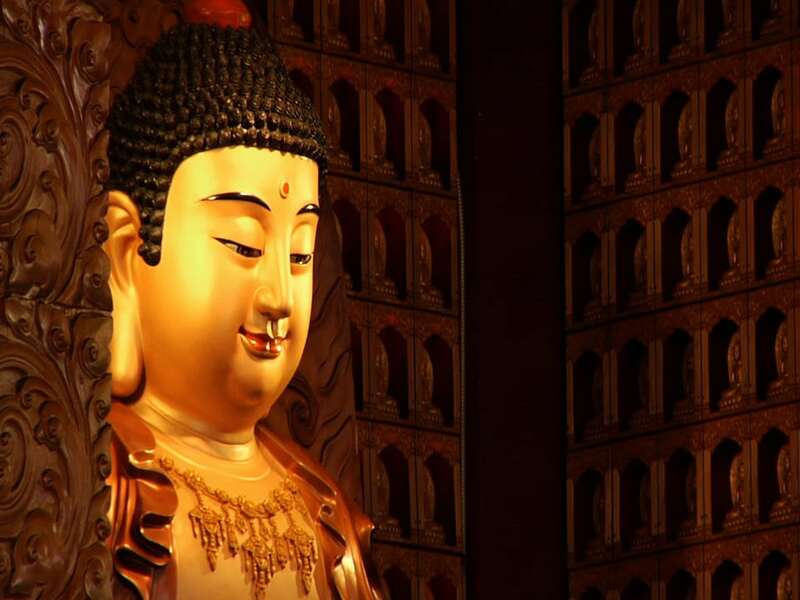 The followers of Buddha venerate him as the embodiment of enlightenment, one who is fully “awake”. Hi is one who has successfully disengaged from everything that is negative and evolved everything positive within himself to become a being of compassion and wisdom. Veneration is an act of respect, not to be confused with an act of worship of an object itself. The object of the veneration symbolizes something greater and points us in the right direction. 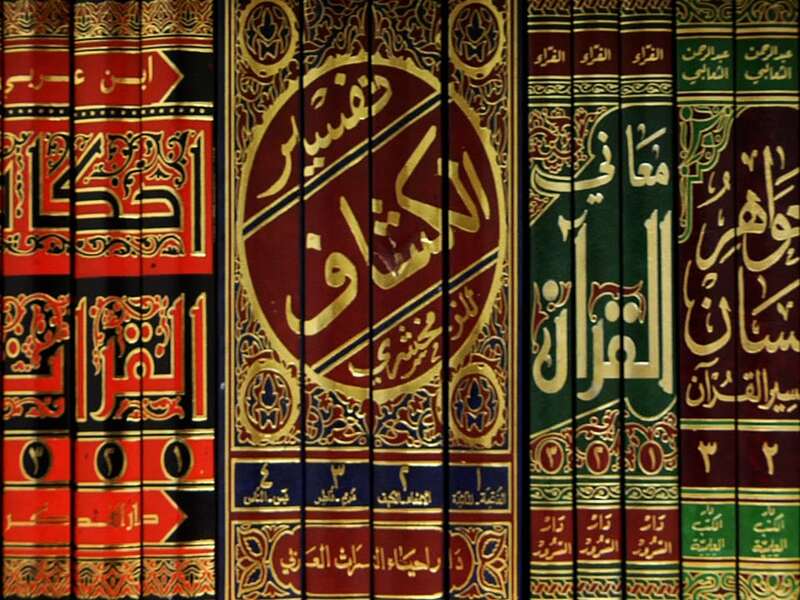 The word Islam means “to submit” . Muslims submit to the Will of God. They pray five times each day, often in congregations but also alone in an appropriately quiet and respectful place. The Holy Qur’an requires both men and women to dress modestly – for women this includes covering their hair. The scarf they use is called a hijab. Islam honors women as equal to men. The Holy Qur’an mandates reverence for women. 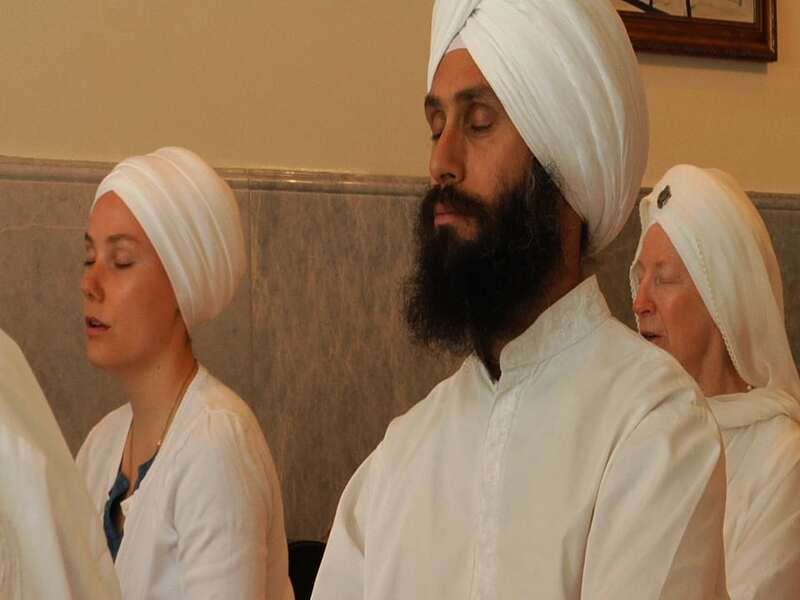 Sikhs meditating on the sacred hymns of the divine Siri Guru Granth Sahib at Guru Ram Das Ashram. Sikhs bow to the Word as embodied in the Siri Guru Granth Sahib and receive their daily instruction through a verse selected randomly each day. The role of the Siri Guru Granth Sahib is central in the life of every Sikh. 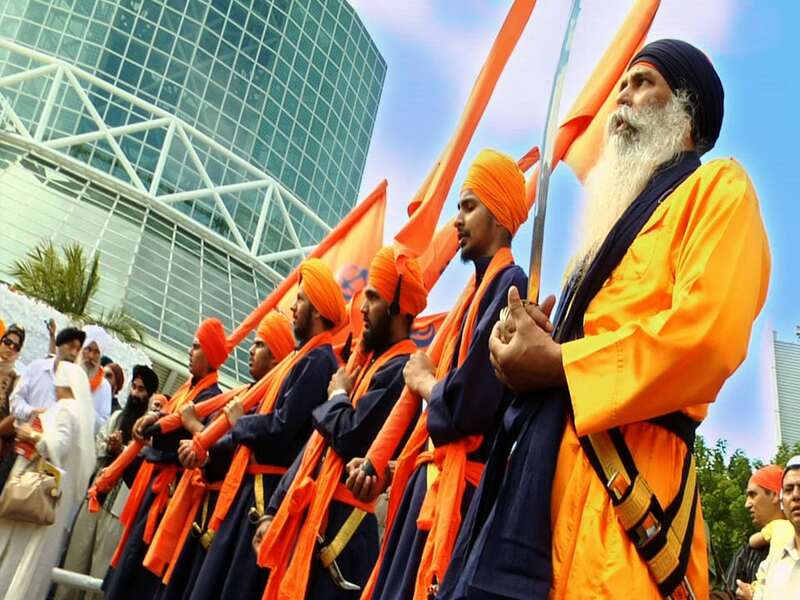 Sikhism was the first religion from India to settle in America in the 1800’s. 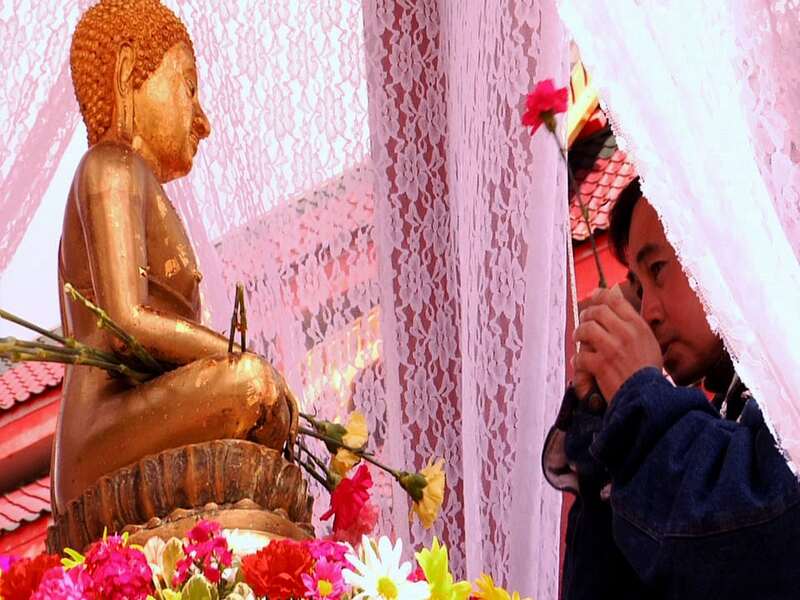 While recognized as the fifth-largest organized religion in the world, it is truly a Dharma, a spiritual way of living. Christians, like their Jewish and Muslim brethren, have always included song and/or chant as an integral part of their worship. 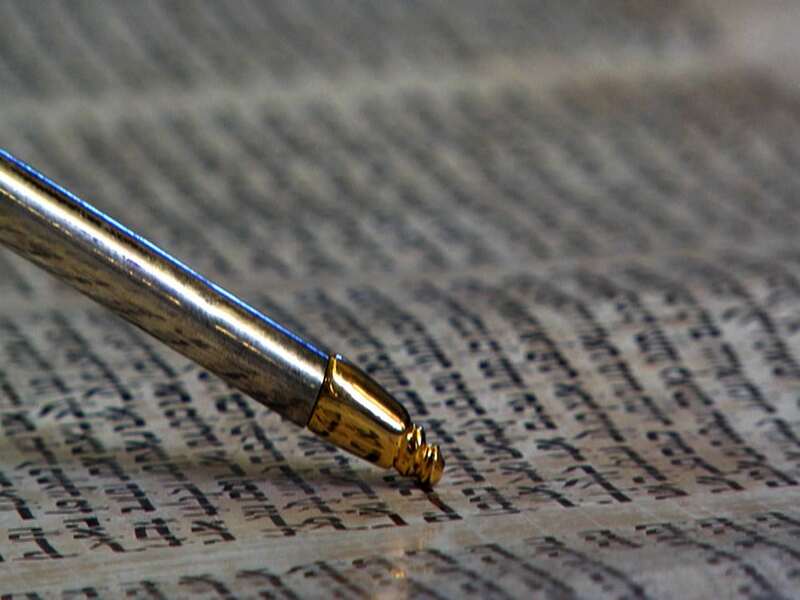 Unlike some religious or spiritual traditions, Christian chants and songs are usually not about the vibration or the music, they are about the words themselves. Before people could read, they learned about their faith by learning its theology and stories through song. 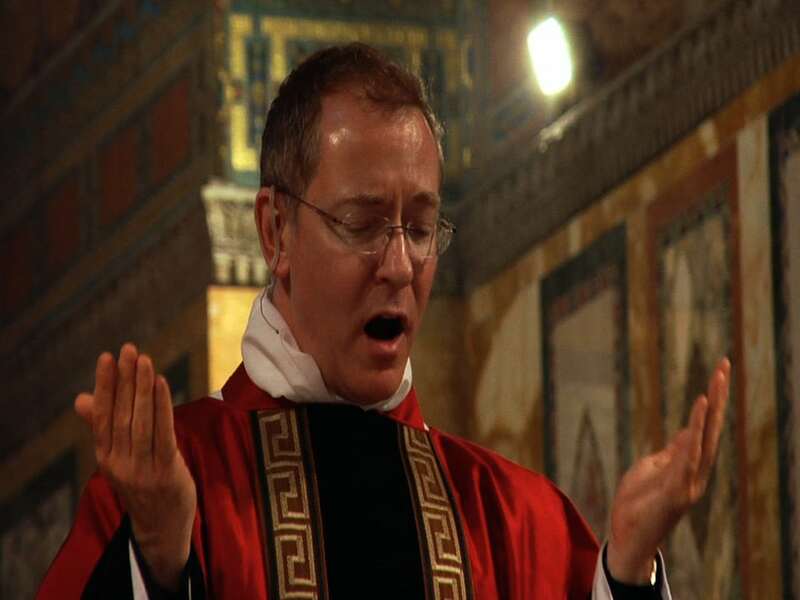 Gregorian chants, which are sung with no musical accompaniment, blend the many voices of the choir and/or the congregation into one and so the very act of chanting itself unifies the community. 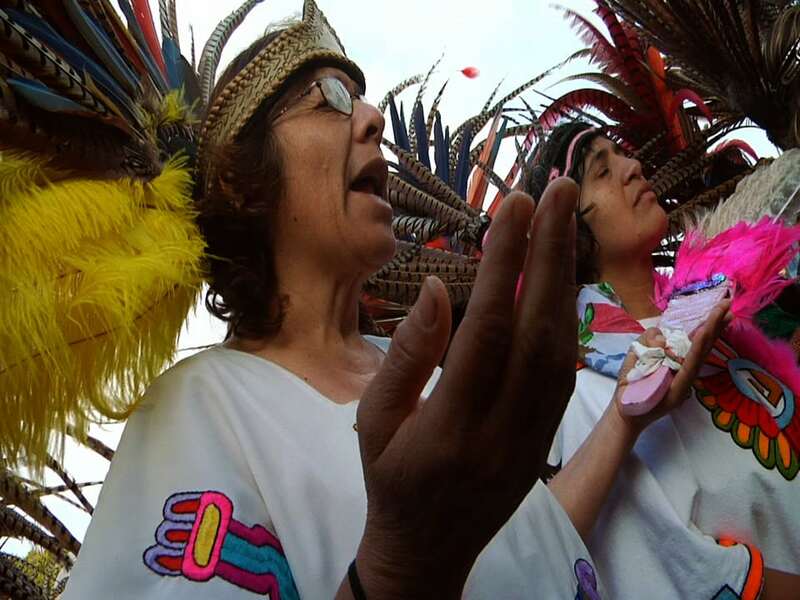 While the Aztec religion is not practiced as a religion per se in Southern California today, vestiges of it are recalled in various local festivals in recognition of the spiritual and religious heritage of the peoples who inhabited these lands long before the current settlers. 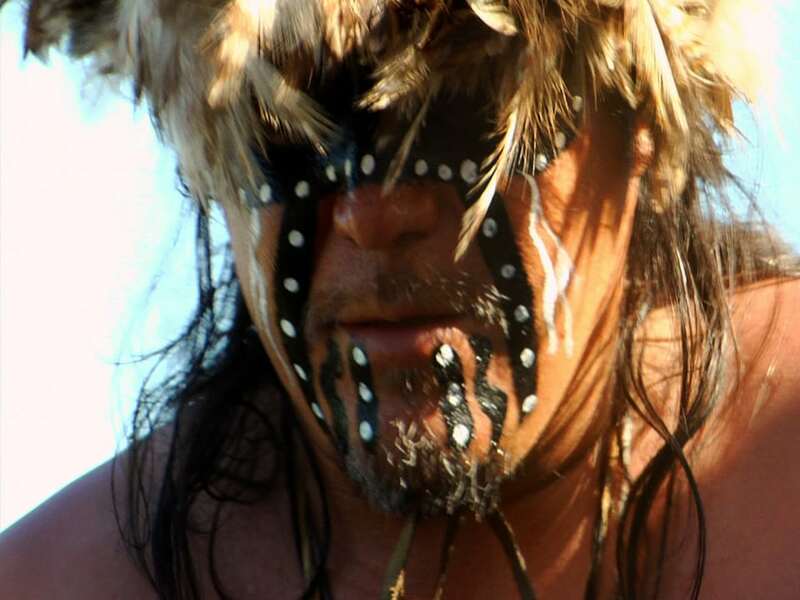 The Chumash and Tongva tribes are the Native American people who lived along the coast and inland in Southern California for thousands of years before the first Europeans arrived. Their rich spiritual practice is interwoven deeply and intimately with the land and all the creatures that inhabit it with them. They were and continue to be a peaceful people with a profound respect for the sanctity of all life. “Tongva” means “people of the earth”. Paramahansa Yogananda was an Indian yogi and guru who introduced Kriya Yoga and meditation to the West. He founded the Self-Realization Fellowship (SRF) in 1920 as a spiritual organization dedicated to promoting the harmony of all religions through sharing Yogananda’s teachings and running yoga and meditation centers. 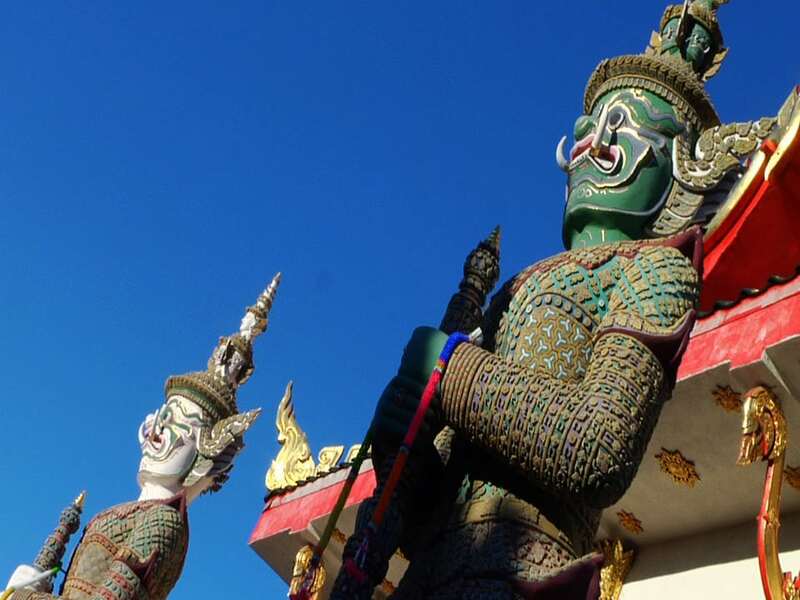 It has over 600 temples and meditation centers around the world and is headquartered in Southern California. The Self-Realization Fellowship Lake Shrine dedicated by Yogananda in 1950 is a beautiful 10-acre site located on Sunset Boulevard just a few blocks from the Pacific Ocean. Thousands of visitors come each year to enjoy the scenic beauty and serenity of this spiritual sanctuary with its gardens and natural spring-fed lake. 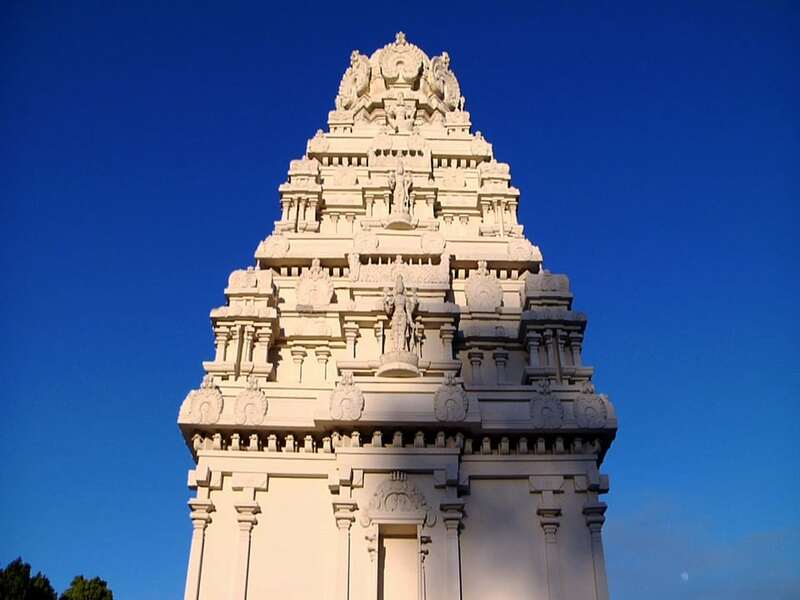 The Hindu Temple in Malibu, dedicated the Hindu god Venkateswara, and built in the traditional South Indian style, was built in 1981. The temple has two complexes – the upper complex with Lord Venkateswara as the presiding deity and the lower complex with Lord Shiva as the presiding deity. In addition to the presiding deity, both complexes have shrines for other deities including Venkateswara, Rama, Lakshman, Sita, Hanuman, Ganesh, Padmavathi, Bhoodevi, Shiva, Krishna and Radha. 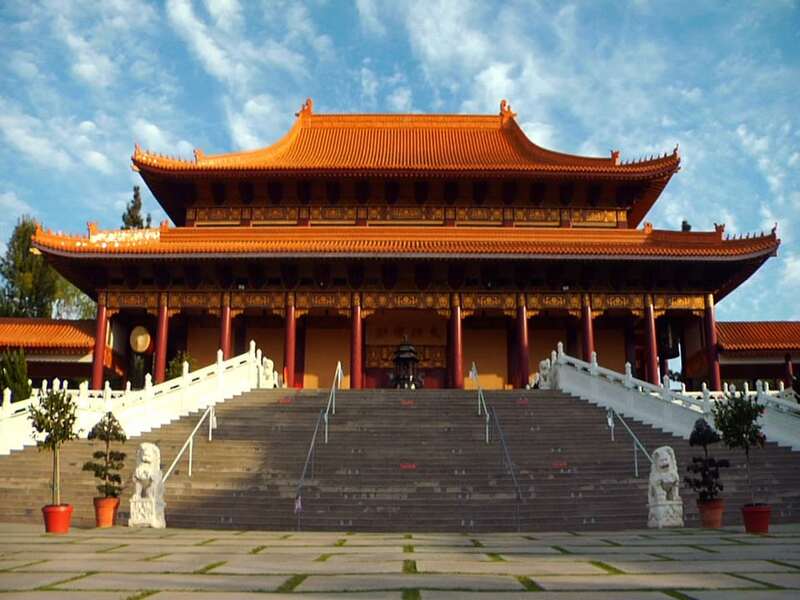 The temple is affiliated with one of Taiwan’s largest religious organizations, the Fo Guang Shan Buddhist order. The temple, like its mother temple in Taiwan, practices Humanistic Buddhism, which incorporates all of the eight traditional schools of Chinese Buddhism – especially the Linji Chan and Pure Land schools – to provide guidance deemed most useful to modern life.